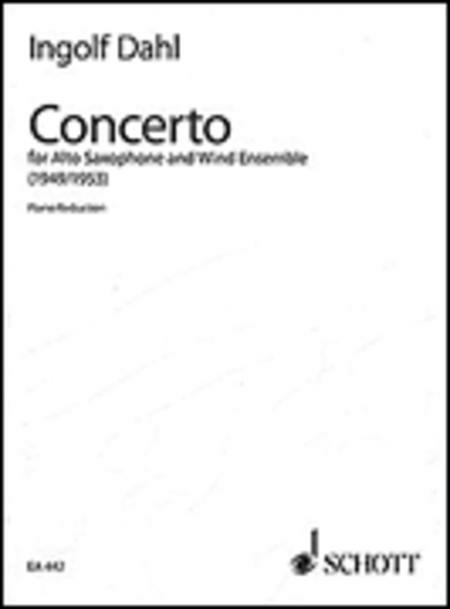 For Alto Saxophone & Piano Reduction. Composed by Ingolf Dahl (1912-1970). Sheet music. Edition Schott. Concerto, Classical. Piano Reduction with Solo Part. 34 pages. Schott Music #EA442. Published by Schott Music (HL.49012598). Truly one of the pieces that makes saxophone what it is today. a good piece for the upper level college student.